NOTE: Only 2 left! 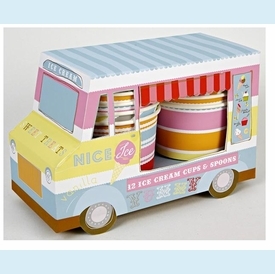 A wonderful way to provide sweet treats at a party or special occasion. 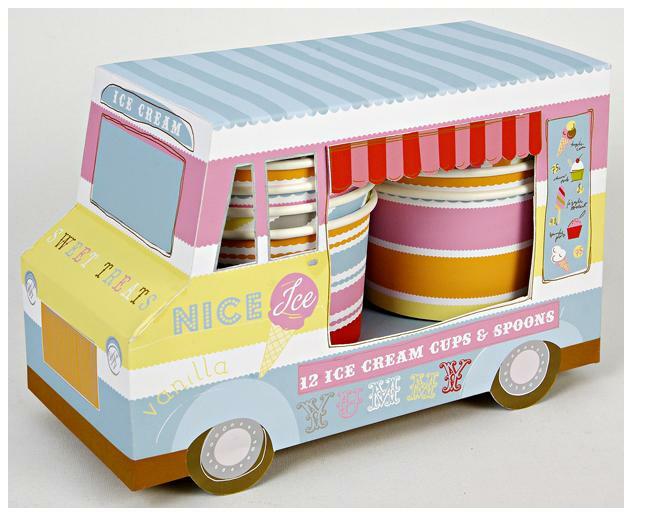 This cute little ice cream van is decorated with bright patterns and contains 12 matching patterned ice cream cups and spoons. ▪ Cake & Cupcake Etc.